Boracay, despite the ugly reputation its been getting lately, is still no doubt a paradise to many, including myself. I wish I would have been able to see Boracay in its immaculate form back in the 90’s. I was told that back in the 70’s, the only way to get to to Boracay is through a long boat ride from Kalibo, but it was absolutely virginal with only rustic huts for accommodations, and shrooms growing around the island. But today, it’s different. People are mad that it’s become such an over-developed overcrowded place. So, unless you plan on staying at the Shang, Boracay is not exactly the place for peace and quiet. I think once we accept the fact that it’s now becoming the party island capital of the Philippines, the better off everyone’s expectation will be. I won’t attempt to sugarcoat the fact that Boracay, indeed, has changed drastically over the years. 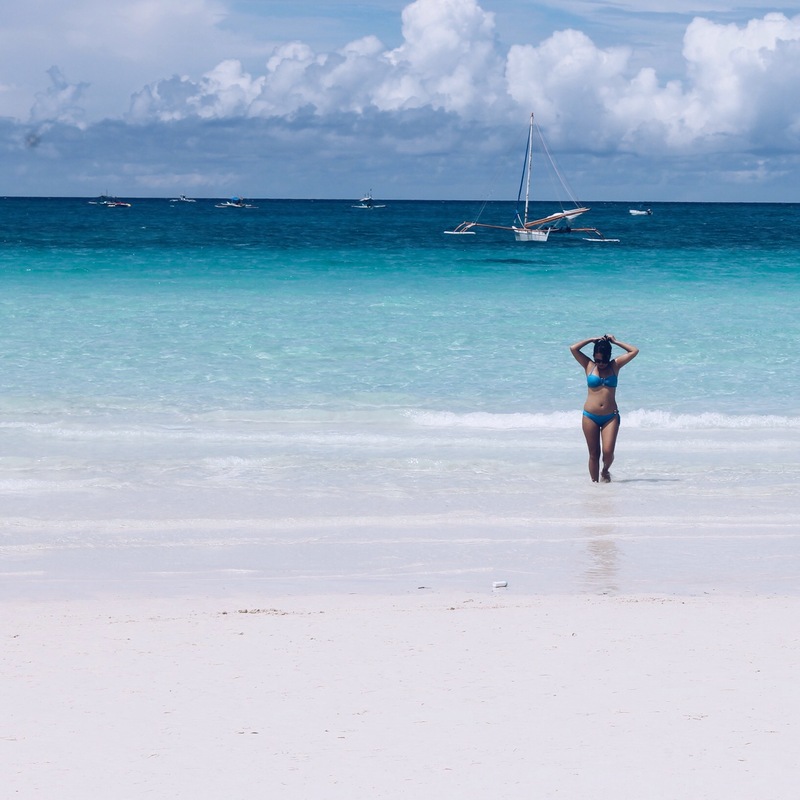 I’ve been to Boracay about eight times since I moved back to the Philippines, and as much as I tell myself I’m done, I know I’ll be back again and again. There’s something new I end up discovering in the island every time! 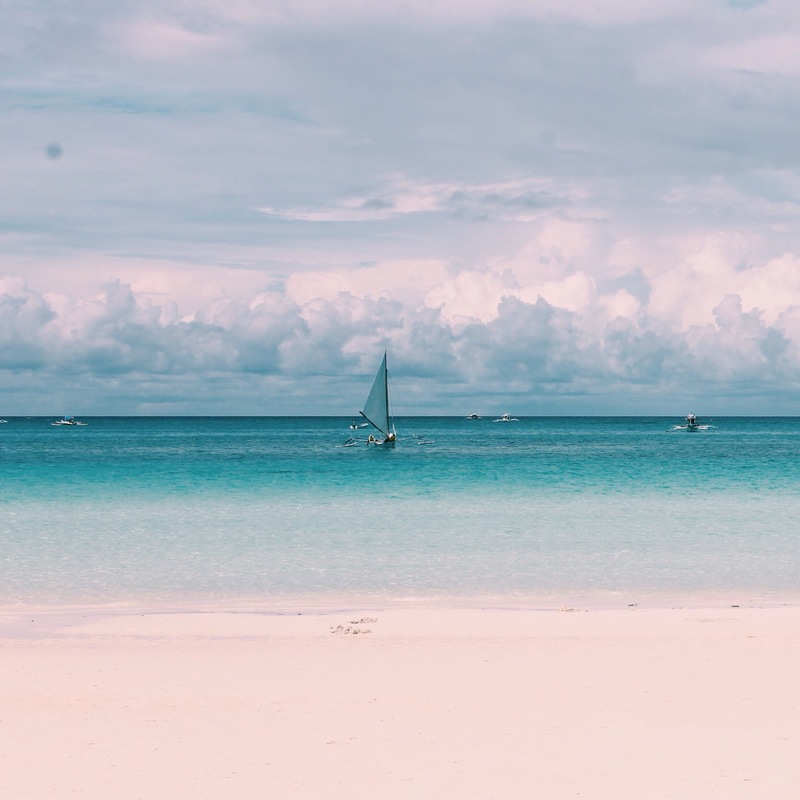 So, even if you aren’t looking to party, you’re on a limited budget, or looking for something new to do in the island, THERE is a way to make your Boracay trip an unforgettable one! If you know where to go, that is. This is why I’m writing this guide. I want to share with you all the knowledge I’ve gained throughout the years I visited the place, with nothing but honesty. Some are old, some are new. Some I discovered from word of mouth, online blogs, some I discovered by co-incidence, and some by friendly locals. I compiled them all together to make the ultimate Boracay hack. We all know about the promo deals, so I’m going to skip that. Some even argue that flying to Kalibo airport could save you a few pesos, regardless of the van transportation fee and the extra time you’d be losing. 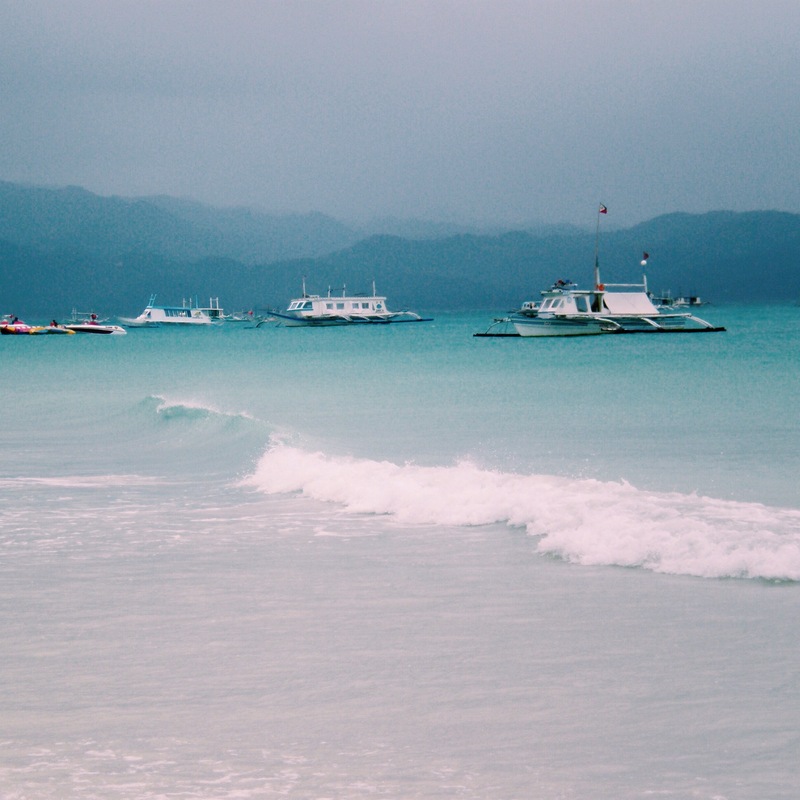 But if you do have the luxury of time, and you happened to miss out on the promo fares, I suggest taking the ferry to Boracay instead. I’ve done this three times and so far I’ve gotten there in one piece. Pros: 2go Travel offers an overnight trip from Batangas port to Caticlan. There are different schedules but the overnight one is more convenient for those who have time restraints. 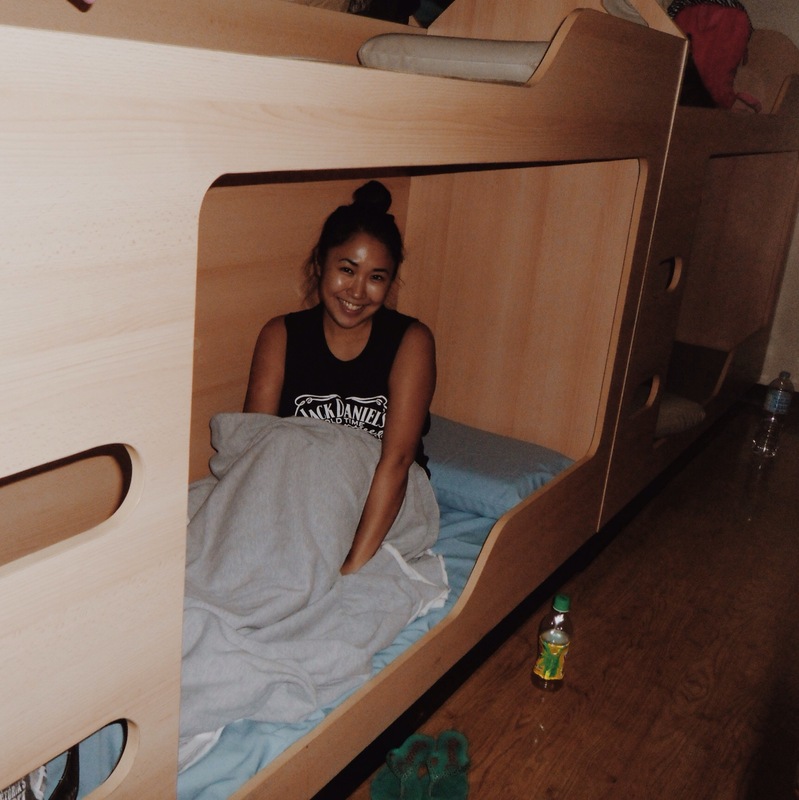 You sleep through the night, and you reach the island early in the morning, giving you plenty of time to indulge in that Vitamin D. I’ve never tried the private cabins, but the Tourist class, which is a huge public hall with plenty of bunk beds, is actually pretty decent. They keep it clean, the ac works well, and they provide fresh sheets and blankets for less than two dollars. There’s also a non-airconditioned hall upstairs for a cheaper price, although it’s not too big of a difference of savings. Cons: There is no overnight trip coming from Boracay back to Batangas port. So you’ll have to allot an extra day for traveling back. It leaves at 8am, and you’ll reach Batangas by 6pm. That sounds long and dreadful, but if you do it right the night before, you’ll most likely be sleeping the entire boat ride. The suckiest part about the boat though, like any other form of public transportation, is the crowd. It gets pretty packed during peak seasons, and Boracay being a party capital and all, you could expect a lot of young’ns pre-gaming it up during the boat trip (there is a rooftop bar for entertainment). If you’re a light sleeper like me, this can get pretty annoying in the middle of the night when drunk kids are coming in and out. I still vouch for the ferry being a practical deal. There is no limited check in baggage so not only can you overpack, but you can bring food and liquids too if you’re thaaaat tight with budget. For a roundtrip fee of a little over 2000php ($45), I’d say it’s worth it. You can book your ticket thru their website or other providers (travel agencies and a few select Western Union). 2.) STATION 3 IS UNDERRATED. When it comes to early booking for accommodations around Southeast Asia, I find Agoda to be very reliable. They also offer different types of promos. Sometimes, they have mobile app discounts that wouldn’t show up if you try to book via computer, and they have web discounts that also wouldn’t show up when using the app. The early bird promos are usually very impressive, offering up to 60% discount. I’ve never personally tried the dorm rooms they offer in the island, but they are available from a starting range of 350php. But if you’re not into being around strangers and all you need is a room to sleep, there are plenty of cheap accommodations all over. Of course the further away it is from the beach, the cheaper. Station 1 and Station 2 are usually the ones with the pricier range. Further down towards the end of Station 2 and beginning of Station 3 offers pretty decent rooms for as low as 1200php ($27) for low season, and that’s beachfront already. Station 3 is actually perfect if you’re looking for a more quiet area. Don’t forget the other beaches in the island too if you want privacy. 3.) HOW TO GET AROUND. If you did book away from Station 1 or 2 and you’re worried about being too far from the action and don’t want to spend too much time walking, there are plenty of tricycles that passes by the main road for as low as 10php per person. Just make sure you don’t hire a private one because that’s when it cost more. It’s easy to spot them, just wave your hand when a tricycle with a group of passengers passes by. They would stop if it isn’t privately hired. One of the newest way to get around the island called the E-Trike (Electronic Tricycle) also cost as low as 10php per person. The motorbikes, locally known as habal-habal, are available too but it’s not too easy to spot which ones are on duty. 4.) PARTYING ON A BUDGET. 5.) HAVE YOUR SEAFOOD AND EAT IT TOO. I cannot believe this one took me seven trips to Boracay before I found out about it. 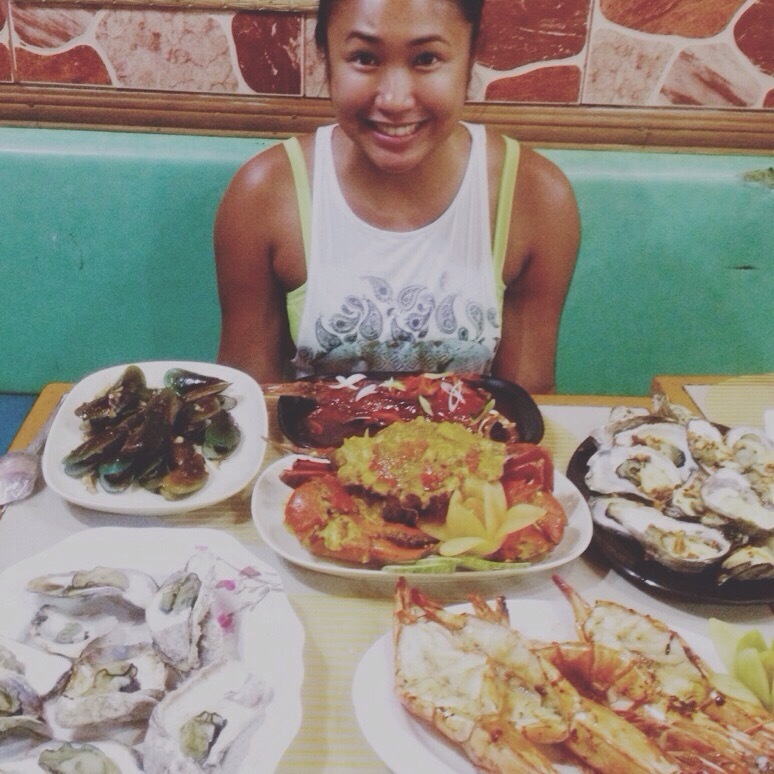 My mom told me about this seafood market where they sell cheap seafood that you can have cooked the way you like at the restaurants around, but I guess I never really tried to put it in my agenda until my most recent trip. It’s quite popular, apparently. It’s at D’Talipapa located towards the end of Station 2. Fresh seafood of all kinds can be found here. Shrimp, crabs, lobster, mussels, all kinds of fish, uni, scallops, you name it. They’re pretty cheap too if you know how to haggle. Outside the market are a bunch of restaurants that would gladly cook it for you for a price. 6.) SUNSET SESSIONS AT SPIDER HOUSE. Once an unknown little gem, Spider House bar is gaining its popularity more and more. Spider House is actually a hotel at Diniwid beach, way past Station 1. It’s a very charming place, situated on a rock and built around trees that makes the room looks like you’re staying in a treehouse. The restaurant/bar is open for public, given of course that you purchase something. It has a great view to watch the sunset, and it actually gets pretty packed at this time. They make good drinks (a little pricey) and the food is delicious. The ambiance of the place is chill, and they play good music, perfect for lounging around with a good book. You can jump off into the ocean straight from the restaurant if you feel like going for a dip or go snorkeling around the rocks. The best part about this place are the people working there. They’re all so friendly. So chat them up and if you’re lucky like me, you’ll gather new island secrets! If you’re nice enough to them, they’d gladly reserve the best spot in the house for you for the next day. 7.) EXPLORE AROUND THE ISLAND. The standard rate of island hopping tour in Boracay starts off from 2300-2500 php ($45-50) for 3 hours. But as the oldest traveling hack in the book says, befriend the locals. Talk to them and be genuine about it. I was able to get a good deal for 1800php for 3 hours from talking to the employees at Spider House. I’d say that’s a pretty good deal. 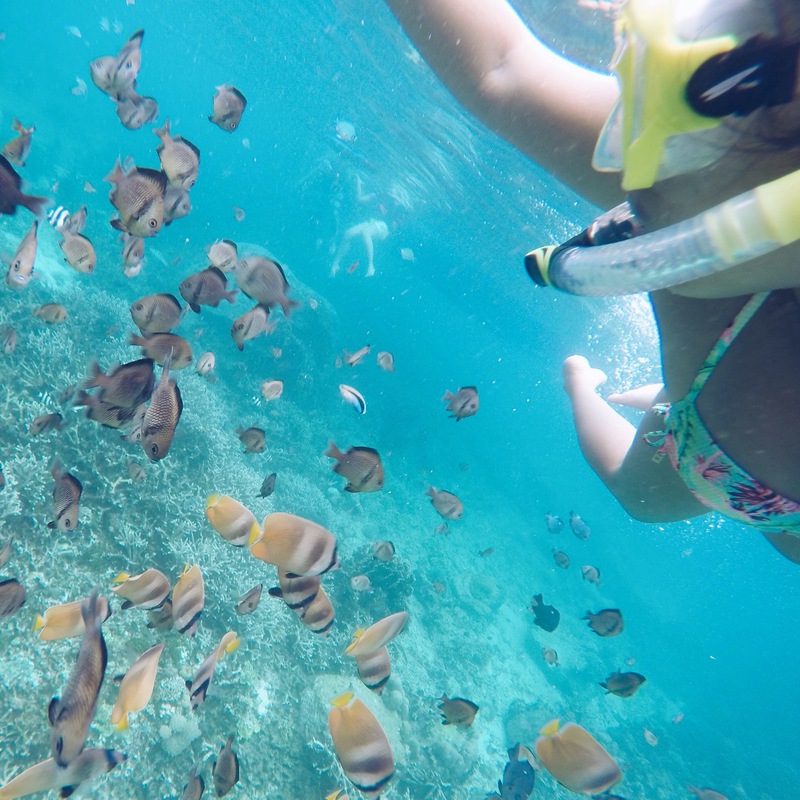 The three hours is enough to stop by Crystal Cove, Magic Island (a cheaper alternative to Ariel’s Point cliff jumping), Puka beach, and a few snorkeling stops along the way. 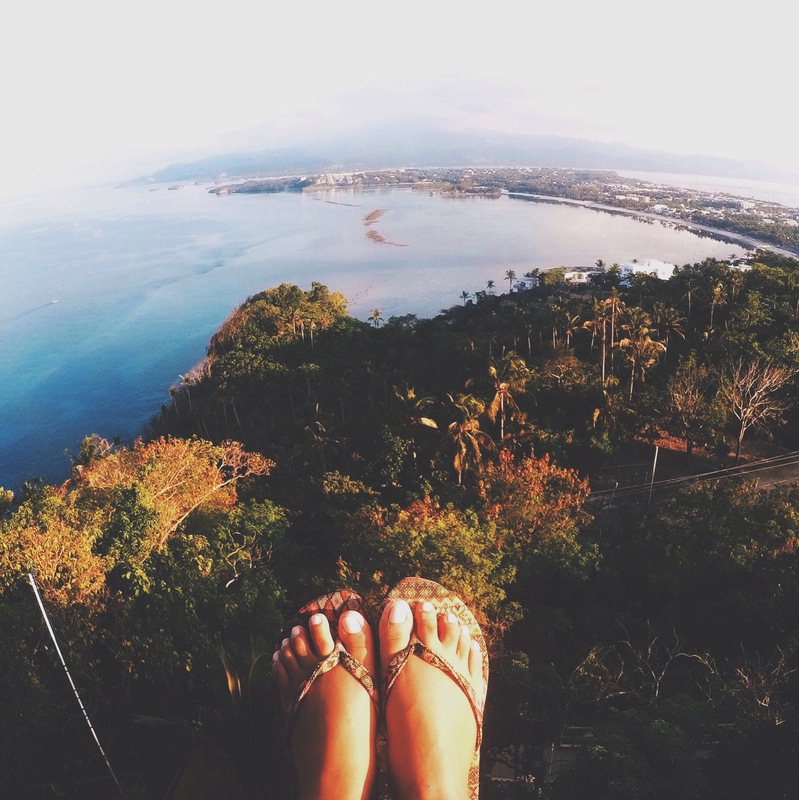 What I want to try next time I go there is Carabao island. This island is in Panay, so a little over an hour away from Boracay by boat. I found a good deal at Red Pirate in Station 3 but it’s for up to 8 people so it will be best to do it with a big group. 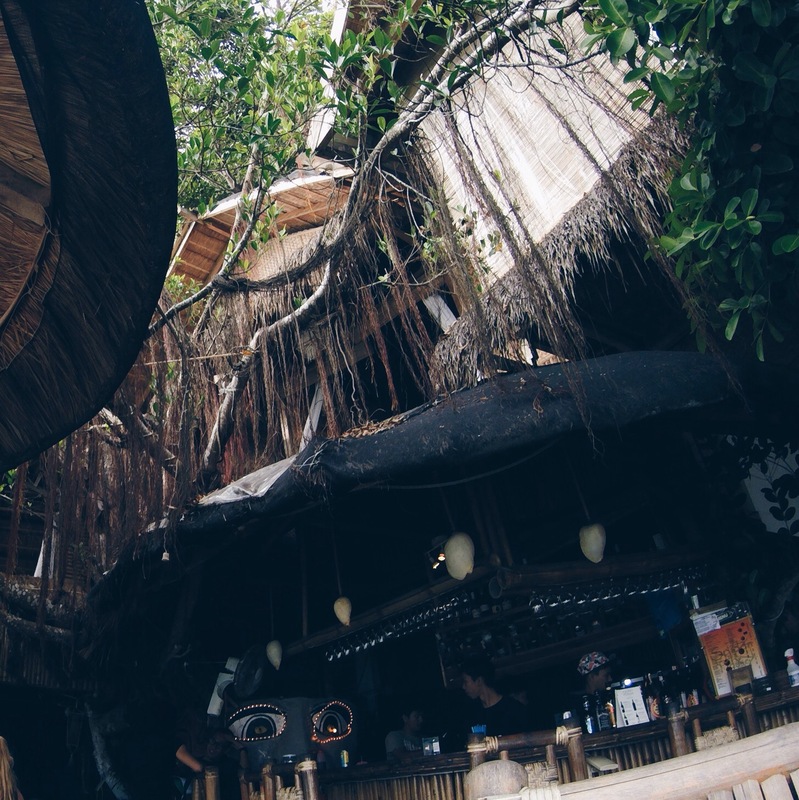 It’s a per hour basis, including lunch, but they offer to take you to the hidden spots further away from Boracay too. I believe Mellow Yellow Cruises offers a trip to Carabao island as well with lunch and unlimited drinks, but unfortunately they were not operating the last time I was there. 8.) WHAT ELSE TO DO? 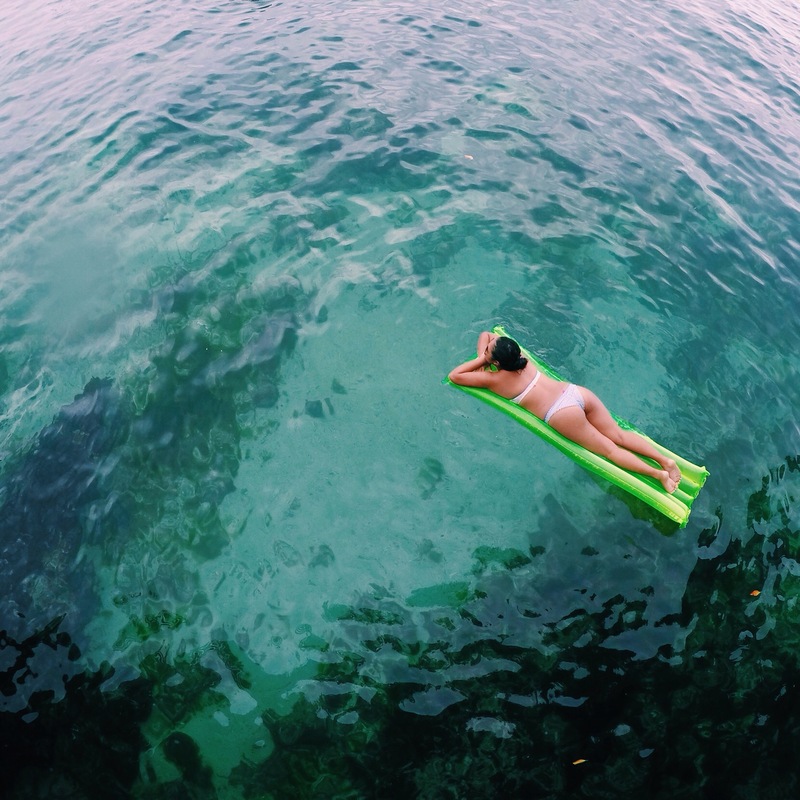 There’s more to Boracay than just partying, laying out in the sun, enjoying the beaches, and the water sports around. Here’s a list of my favorite things to do in the island. Fancy a few cliff jumps in a secluded, hidden little place? Spend the day at Ariel’s Point. For a fixed rate of 2000php ($45), you can spend the entire day jumping off hills, varying from 5 meters to 15 meters in height. The rate is inclusive of a pretty good lunch buffet, all you can drink beers and other local alcohol, the boat transportation (from Station 1, it takes about 30 minutes), and the options to kayak and snorkel around the area. I went there twice and I had a lot of fun. The operators, or the kuyas (a Filipino term for big brother), are all very nice and the whole trip is very organized so you get to make the most of your money. More sunset options: Another beautiful way to see the sunset is by taking a Paraw boat around for a beautiful sunset scene. 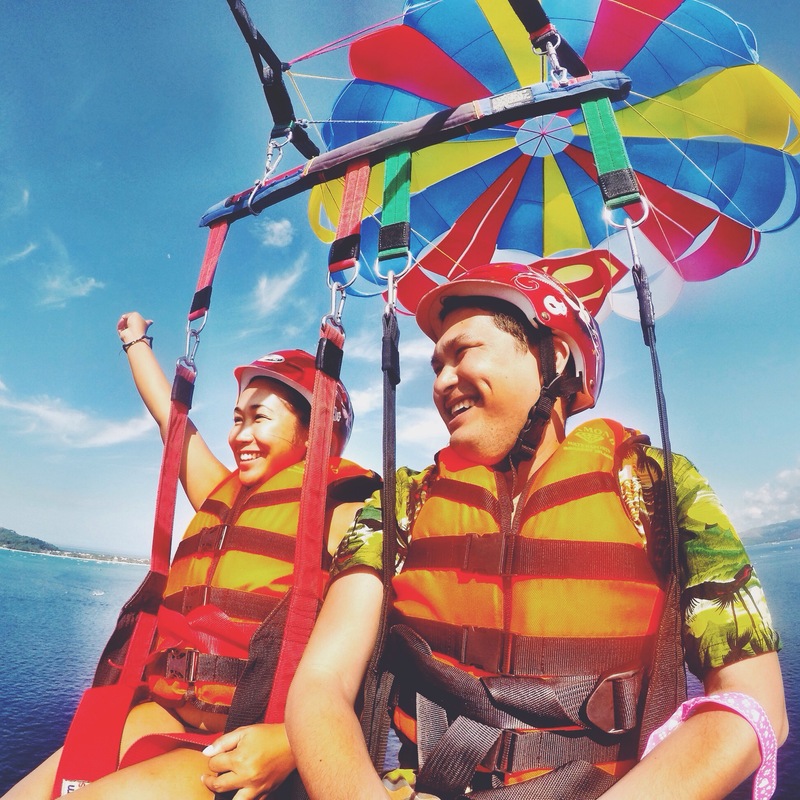 Better yet, go parasailing (starts at 1300-1500php). 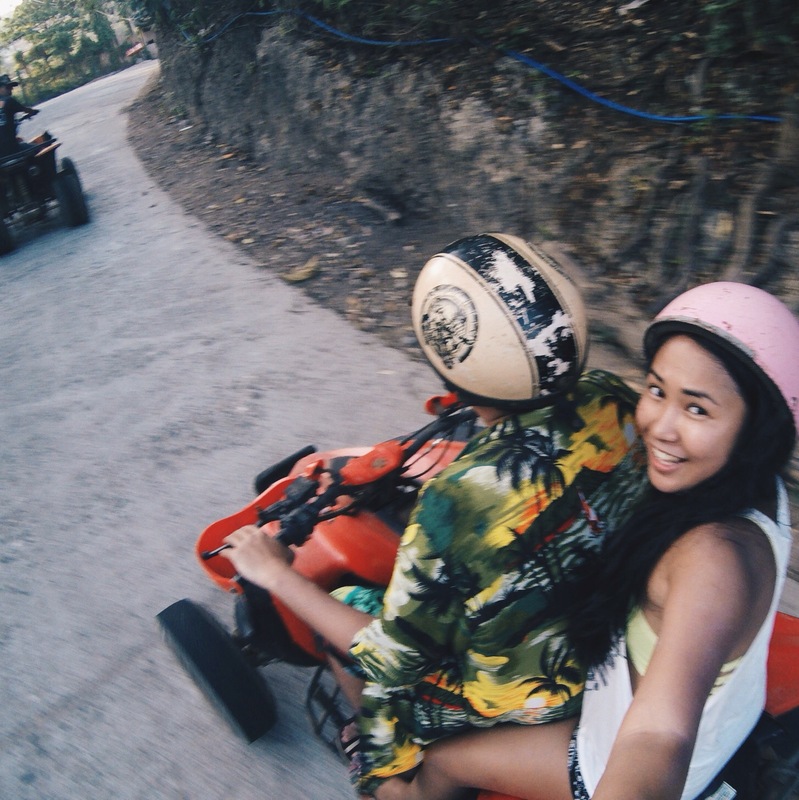 You can also rent an ATV to go to the top of Mt. Luho, which is the highest point in the island. However, if you feel like getting started early on your drinks, Mellow Yellow Cruises also offers a sunset cruise party. Like I said, they weren’t operating the last time I was there, but I plan to check this out next. -I haven’t tried kite surfing in particular, but it’s pretty famous on the other side of the island, Bulabog beach. –Make sand castles with the local kids, or have them make a customized one for you. 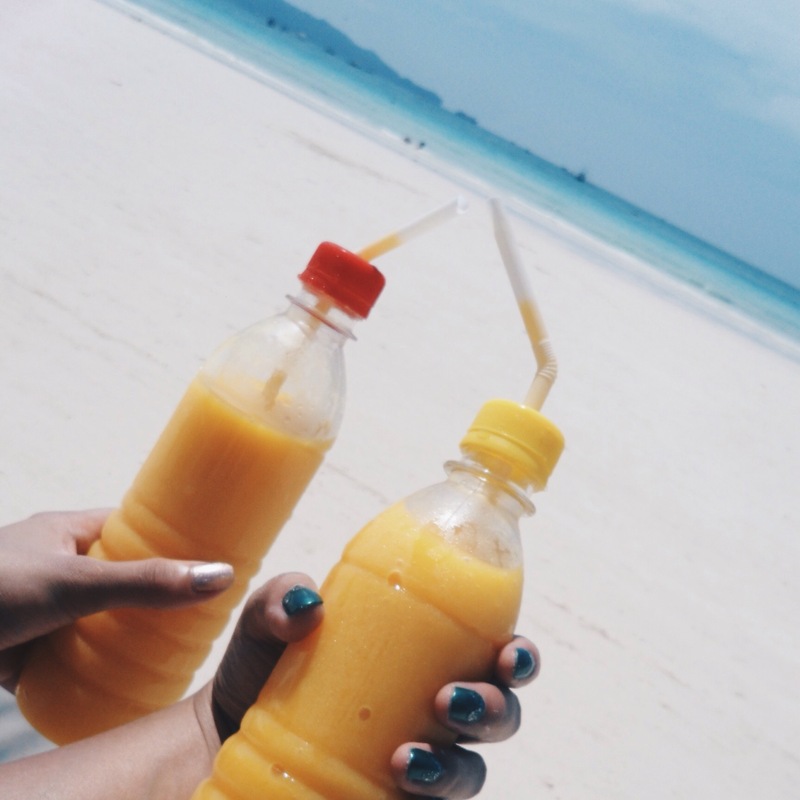 –Jonah’s Fruitshake is an island favorite for a reason. Give it a try to see for yourself! It’s located at Station 1, near the infamous Willy’s rock. -Make your dreams come true and be a mermaid! Mermaid Academy (next to Starbucks in Station 1) offers mermaid swimming lessons. I only did the photo option (700php for 30 minutes) so I got to wear a mermaid tail and play around in the shores, but they do have the mermaid swimming lessons and would even take you to the bottom of the sea for a legitimate mermaid experience! 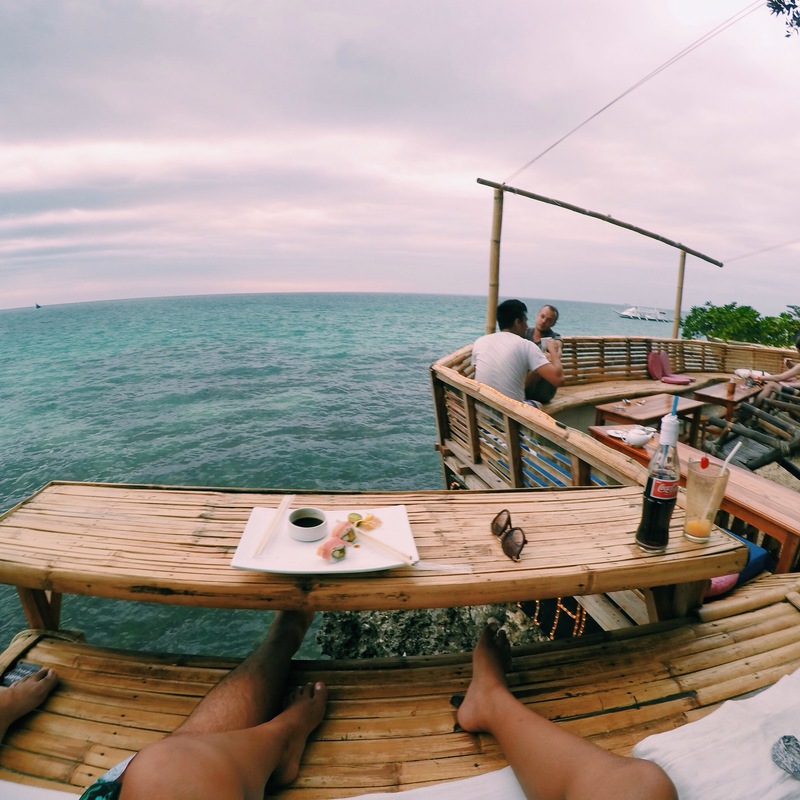 -If you choose to take the boat to Boracay, you have to go to Batangas port. There are plenty of buses going there from Manila. 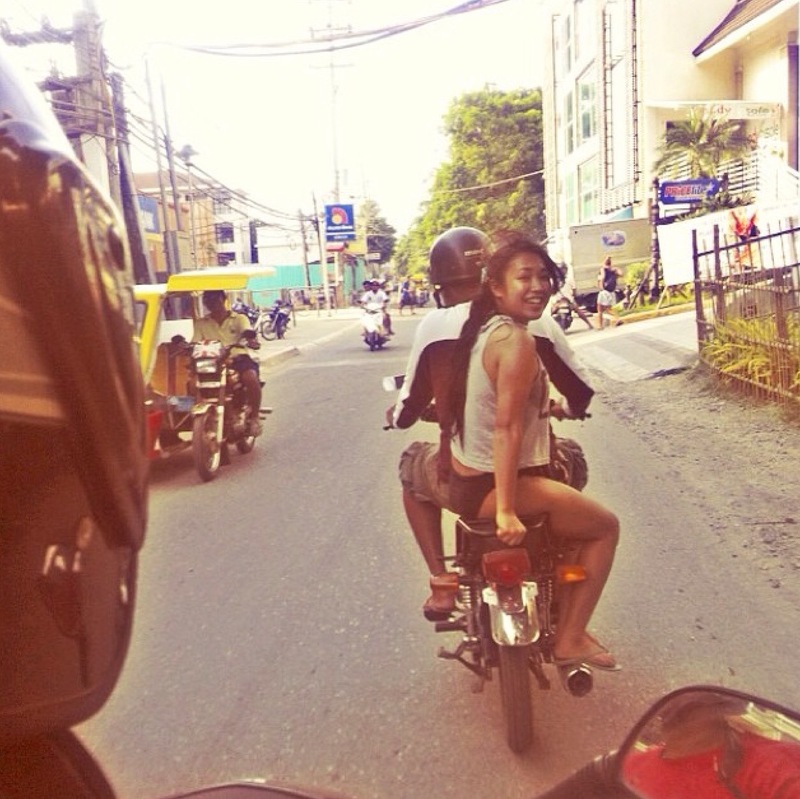 -I know a lot of people getting ripped off from tricycles from the port to the hotels. It shouldn’t be more than 100php if you’re only going as far as Station 1. Station 3 is closer to the port. -Algae season, as I was told, starts from March and ends in April. However, throughout the years, it’s getting worse. Due to the climate changes and quite possibly pollution, the occurrence of Algae tends to come sooner and last longer. -Low season is from June to August. Although it’s not the best season to go, prices are much cheaper all around. If you’re expecting a good crowd however, Holy Week and Labor Day weekend is when they throw the biggest parties in the island. New Year’s Eve is also a one of a kind experience here. Do consider that those are the peak events so prices will rise up. Boracay is changing fast. Its quality differs each time I visit. Sadly, I’ll never be able to see the original beauty it once possessed, but I’m glad that I’m still able to see it as it is now, because I know for sure that it will be much more different a few years from now. So do I recommend going to Boracay? Absolutely. Do it. Do it fast. The time to go is now. Do you have any hacks or secret little tricks on Boracay? Anything I haven’t mentioned that you think is absolutely worth knowing? I’d love to hear to about it! Haven’t been to Bora Bora but I can only imagine how beautiful it is there. I’m sure the kids will love basking in the sun. Just don’t forget the sunblock coz it’s much more harsher down here. Really Beautiful 🙂 Enjoyed seeing your adventure with photos! This looks like paradise. All of that seafood must be amazing! So amazing and soooo cheap. All of that for $50. Great info! I totally want to take a trip out there just to visit Ariel ‘s Point and become a mermaid. Oh you must! Definitely makes the highlights of my trips there. Beautiful post and your photos are AMAZING!!! Thank you Samantha! Not too hard to come up with pretty pictures when the place is so gorgeous. Beautiful photos, what a great place! Thanks for sharing!! Thank you Cathi! It is a beautiful island. Wow. This is really my kind of adventure. This looks like my kind of place. Wish I could go there! You should! Southeast Asia is cheap. Looks like you had a great time. well, it’s always a great time to be in boracay. 🙂 love this post. Oh girl you’re gonna love it! 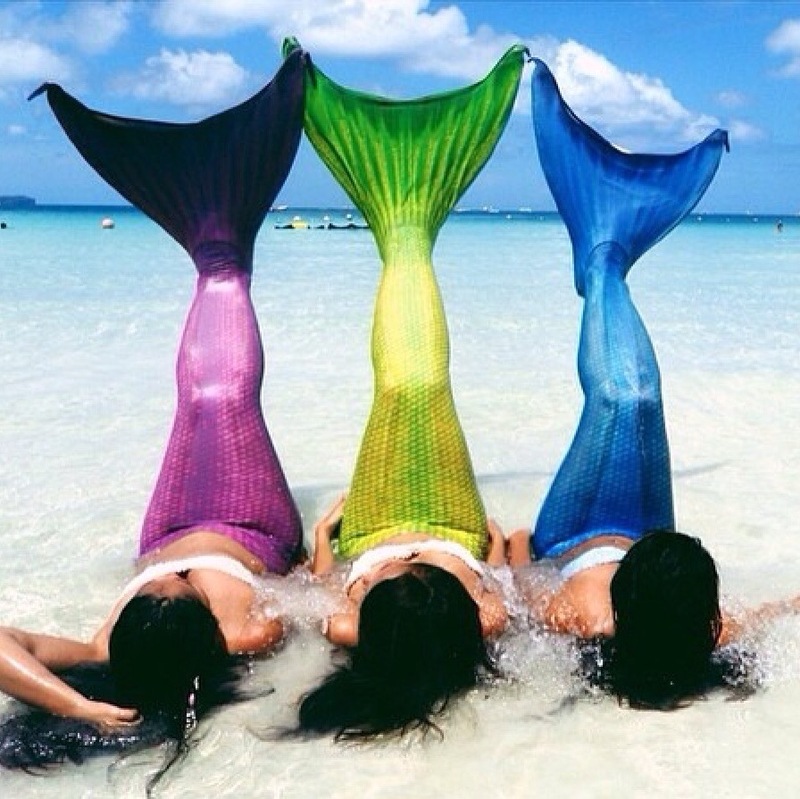 Your mermaid moment is awesome!!! Thank you! I want to do it again but this time underwater. I need to learn to swim with tails first, hehe. Wow I’ll look that up! Boracay now is really very different from when I first went there about 10 years ago. I did enjoy the parasailing in my last trip. I will take note of Ariel’s Point for a future trip. By the way, why is Willy’s Rock infamous? It must have been lovely to see Boracay in its full glory many years ago! I look for photos online of Boracay in the 90’s or 80’s and it looks like real paradise. Hmmm, I have no idea why it’s famous. I mean..it’s just…a rock?! Borocay sounds amazing, it’s a shame it’s become so touristy but I guess that naturally just happens. 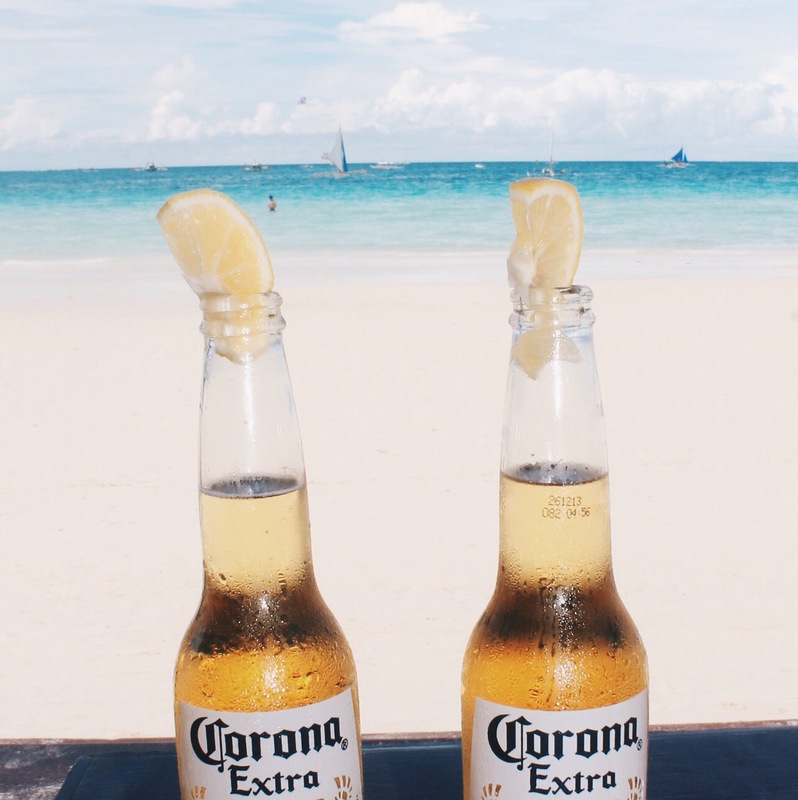 Sunset coronas sound like everything I’m dreaming of right now! Boracay is the famous tourist’s attraction of the Philippines ever since. 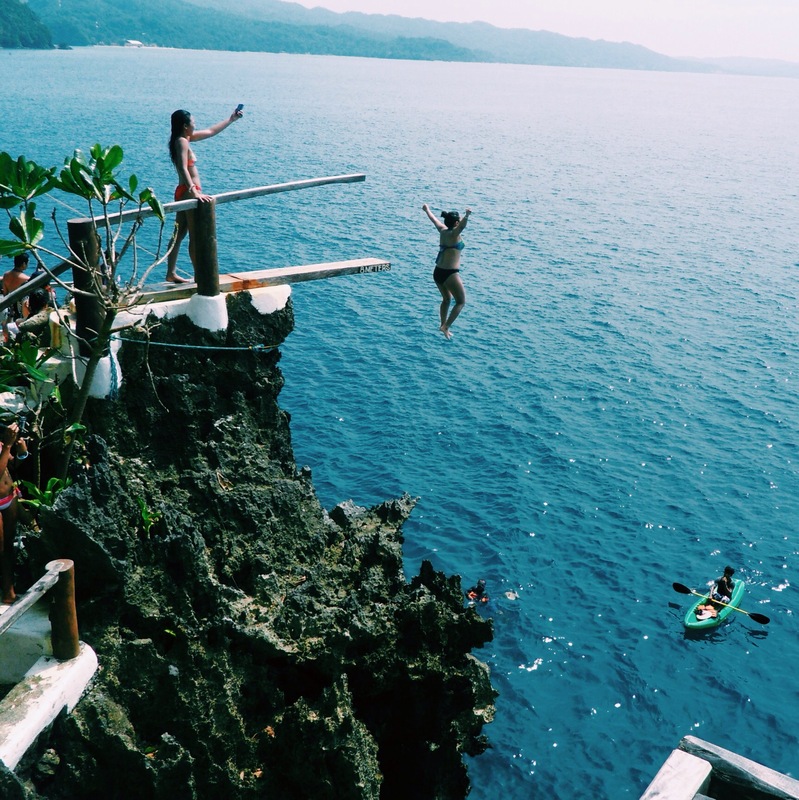 Likewise, different travellers have dissimilar adventure experiences going to Boracay. 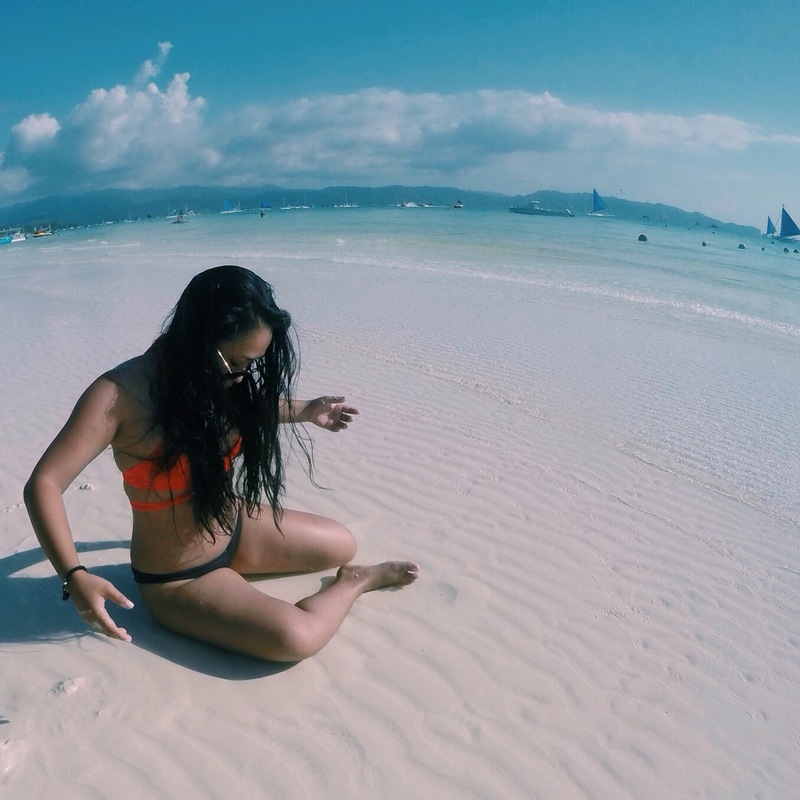 Most likely, the main thing in going to Boracay is enjoyment. Wish I saw it in the 90’s! Beautiful! I totally agree with you on so many levels! Boracay has always felt home to me, i’ll never get tired of going back, even for the nth time. There’s just too much beauty in the island! Ahhh, can’t wait to be back, happy travels! There’s so many haters but whatevvvvver. I think Boracay is still Paradise especially when you go on the leaner months. It depends though if you love the party then the peak months would be ok but if you love to enjoy the island, it would be better to go on the lean months. It still among the best beaches that can give you a place to chill, a place to do outdoor adventure and a place to party. Definitely! It’s not for everyone, but you can’t deny the beauty of its beach. OMG The mermaid class is simply so cool! Do we have to queue for a long time. Ahhhhhh can’t wait to try this! No, you don’t 🙂 Maybe just set an appointment when you arrive in the island to secure your time slot. It’s awesome. Such a beautiful place to explore and relax from the hectic city life. I love the bunk bed style while travelling remind me of those university days. I love bunk beds too! I hope you go sooner than later before everyone else ruin what’s left of it. Going with the hubby never gets old! I say do it! We’ve been to Boracay and because I was with my parents who mostly wanted to stay in the hotel, I wasn’t able explore much of Boracay. I plan to go back and hopefully, when I do, the bad stories about the place will be by that time resolved. 🙂 I really want to go to that Spider House! As for the D’Talipapa, that’s where we eat lunch & dinner since we have a free breakfast in the hotel hehe. I loved the food at D’ Talipapa. I can’t believe it took me how many trips there til I found out about it. Boracay is such a lovely place, regardless of what others say. There’s so much to do and so much to see there. I still think it’s nice. I actually went to Boracay twice via 2Go Travel, my first time was in the tourist cabin bec my friends and I weren’t able to get one of the private ones. On my second time though, I got to try the private cabin and I loved how you won’t be able to hear the noisy pre-gaming kids from the rooftop bar. I went 3 times already. The second time was horrible because it was during holy week. Somehow, we ended up in the bottom bunks of Arab passengers and let’s just say the morning after wasn’t pleasant at all. OMG I so envy you! I wish to go to boracay with my love one soon… hopefully this year end. I hope you do go. December is a great time to go. I’m actually thinking of planning a trip to Boracay via ferry. My fear lang is that I don’t know how to swim and I have kids! But I’m sure my kids will enjoy the boat. Kid friendly ba? Like if we take a private room or something? Can you hear the roof top bar noise everyone on the boat? Time to book a trip again! I don’t mid if there are negative reviews circling around the cyberspace about Boracay. For one who have been there twice, I can attest that the place simply the world’s best. I won’t say it’s the best, although it probably once was, but I agree. I don’t care what they say. Wow!! Your post is great!! So full of useful information!! Well done! Hope to organize a trip there as soon as possible! 1. Thanks for the extra encouragement to head to the Philippines! Ah please do go. DREAMS COME TRUE in one island indeed!